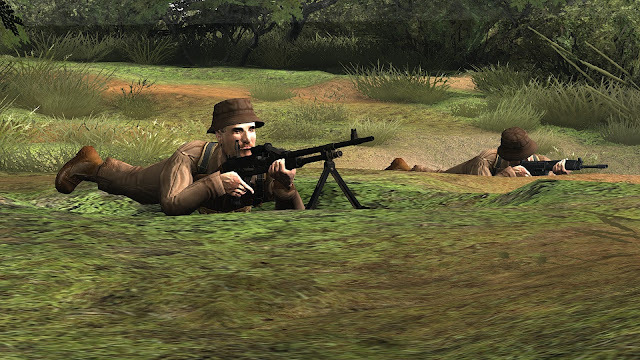 This is a series about the use of the Ratel in combat. More of a series of observations and vignettes rather than a comprehensive analysis. The first blog entry about was a while back. 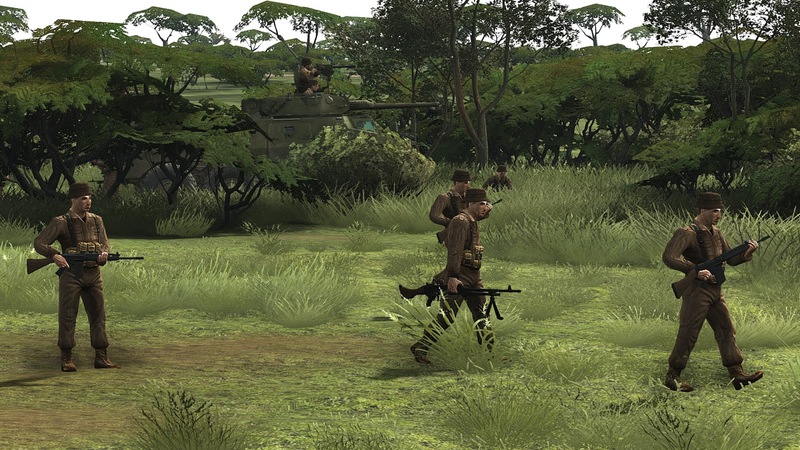 The Battle of the Lomba is the subject of the Operation Moduler DLC for Graviteam Tactics Mius Front. 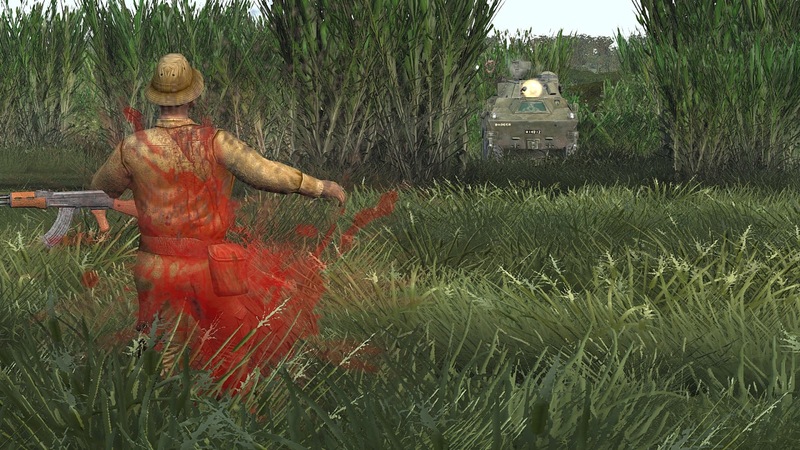 This battle is one of the most remarkable armored warfare engagements ever fought. 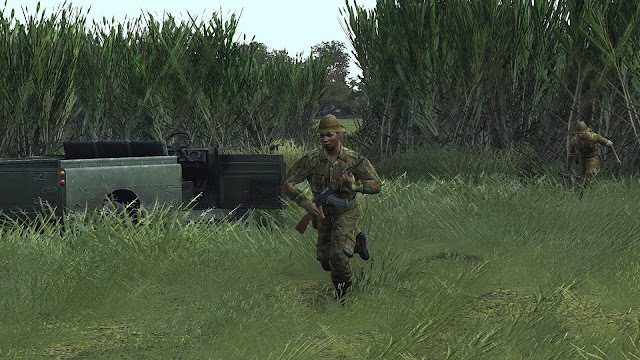 The Angolans, even with the massive help of Cuban T-55s, Cuban troops and Soviet advisers, got defeated thoroughly by a light armored South African / UNITA guerrilla forces. 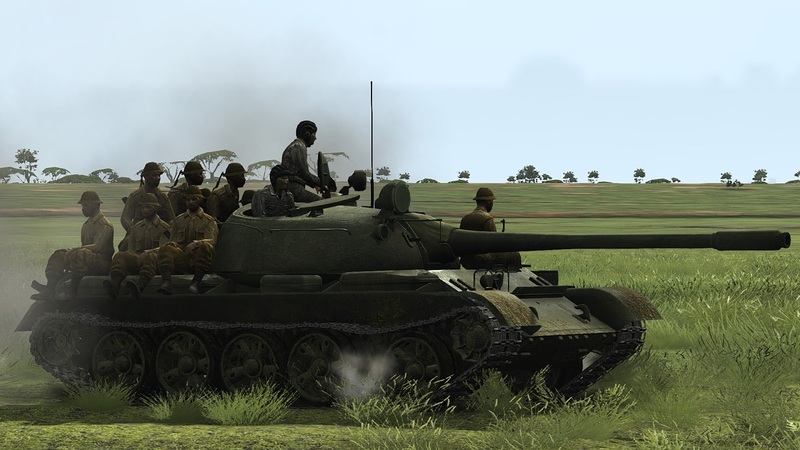 In this picture, a Cuban T-55 is serving as an ad-hoc transport for Angolan conscripts. The following two books are a great resource to understand the Battle of the Lomba and how the South African forces fought in that conflict. This list is not comprehensive but at least provides the basics of the battle, the doctrine of the South African forces back then, and how the victory was achieved. Please help me to expand this list by providing additional authors in the comments section. The integration between the Ratel IFVs and their dismounts has to be impeccable. The Ratel crews were trained in the ways of the dismounts, and had to drill like them in order to understand their hardships and point of view during an engagement. In this screenshot, the particular terrain of the region, with tall grass spotted with bushes and patches of trees. 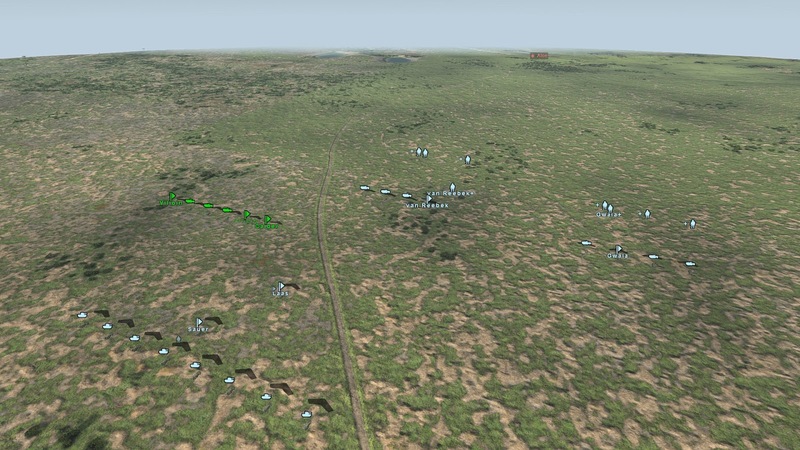 A thorough understanding of the advantages of this type of terrain, both in the attack and the defense, was crucial for victory. The numerous ditches offer great cover and concealment against the ENY. Just be aware that as you are closer to the Lomba River, these ditches can become mud-traps for the Ratel vehicles. For dismounts, is not an odd situation to make contact with enemy forces and temporarily without the support of their Ratel IFVs. In this case, two squads of Angolan infantry walking oblivious and directly into the South Africans. 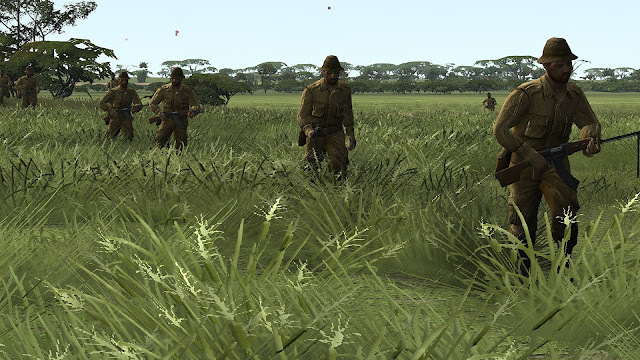 The Graviteam engine offers exactly the two commands needed for the actual infantry drill of the South African infatnry forces: stay concealed and hold fire. Once the enemy infantry is close enough, unleash all muzzles on the hapless Angolans. 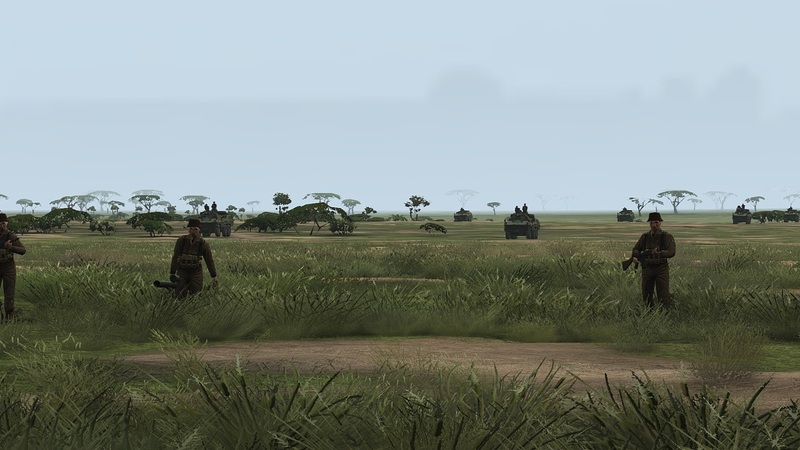 ... Once the Angolan forces reacted and came after them, I had my Ratel IFVs waiting. It is a common tactic and very well known to everybody, but to add emphasis, de Vries (see book above) labels it as "the way of the jackal". A birds eye view of a battle I fought against Angolan forces. The platoon (also referred as "troop" by the South Africans) highlighted is composed of Ratel 90s, which are equipped with a 90 mm gun that can defeat the Cuban T-55s, although with some difficulty. The platoons in the center and right flank are Ratel 20s, which are equipped with a belt-fed 20 mm auto-cannon that can defeat enemy light armor. 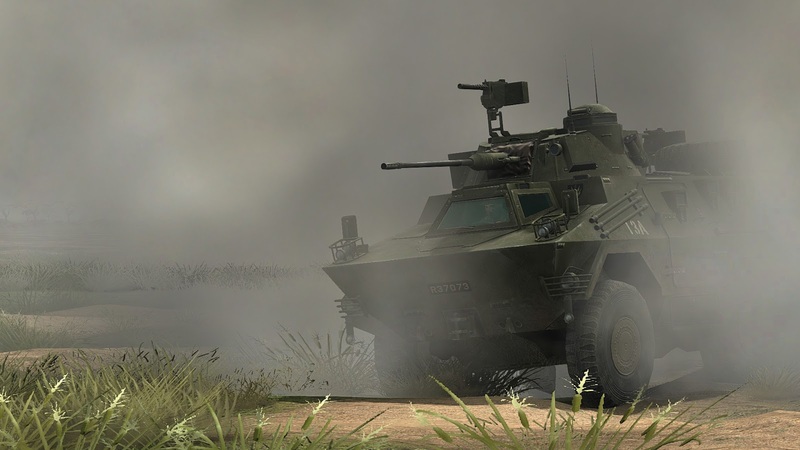 The Ratel 20s' dismounts are equipped with AT rockets, which are very effective against any type of enemy armored vehicle. 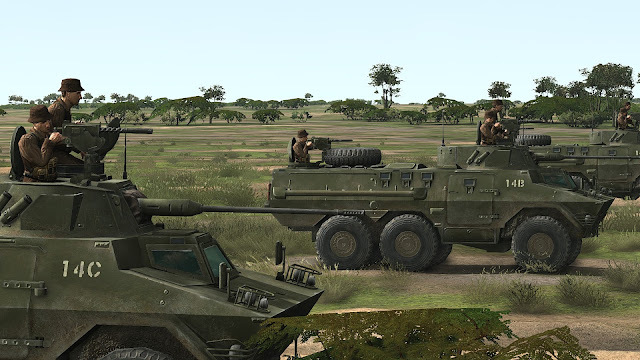 In the foreground, Ratel 81s. 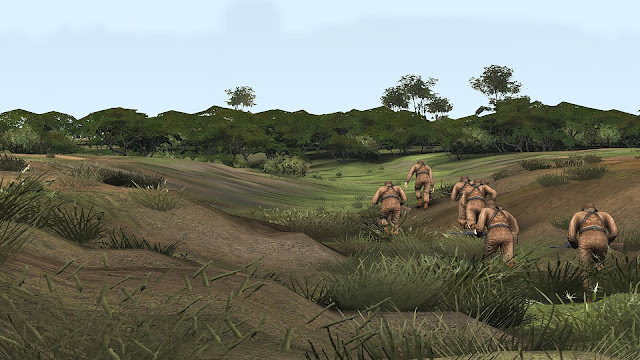 In order to find out enemy trenches, I sent out some dismounts. They moved under the cover of their Ratel IFVs. 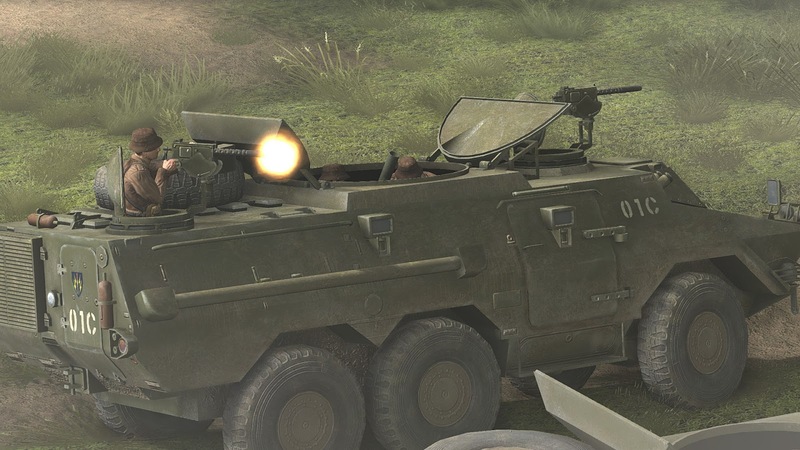 The Ratel 90s are ideal for these overwatch tasks. 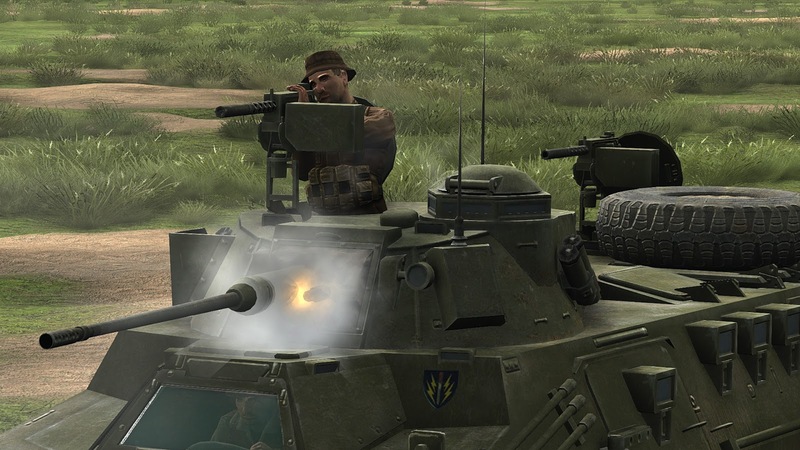 But the Ratel 20s shown here also have plenty of firepower. Note also the elevated position of the MG operators, which allows an extended field of view. When a threat appeared on our right flank, the supporting Ratel 20s reacted quickly and disposed the enemy in a matter of minutes. The mobility of these vehicles is phenomenal. And they also have a coaxial gun! In this picture a Ratel 81, AKA "Sunroof Ratel", fitted with an 81 mm mortar. The South African doctrinal insistence in the use of indirect fire was crucial for the victory achieved in Operation Moduler.